The new Top Gear co-host will be a woman, Chris Evans has confirmed. Chris Evans, who was announced as Jeremy Clarkson’s replacement on June 16, said Top Gear would star at least one woman, chosen not “for the sake of it” but because of their passion for cars. 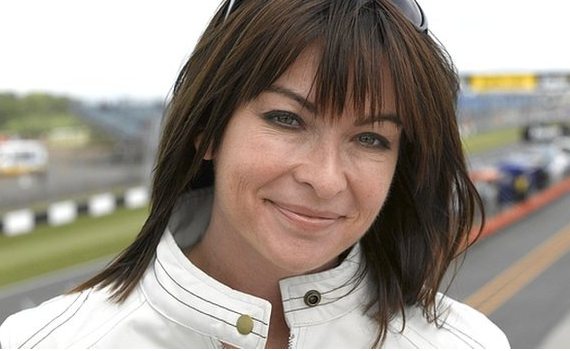 Formula One presenter Suzi Perry has also been rumored for the show. Suzi Perry appeared prominently in the audience of Chris Evans’ TV show TFI Friday last week, shortly after he agreed to host Top Gear. However, bookmakers have made Jodie Kidd the favorite to fill one of the two slots left by James May and Richard Hammond, who quit the show in the wake of Jeremy Clarkson’s sacking. Jodie Kidd currently attracts odds of 1/3, with former motorcycle racer turned broadcaster Guy Martin at 5/2, and Suzi Perry, Philip Glenister and Demot O’Leary all at 4/1. In an interview with BBC Radio 5 Live’s Nicky Campbell, Chris Evans said he wanted his co-stars to be “extremely knowledgeable about cars… people who have great energy, good timing… who are keen to do things differently”. The BBC has not given a timescale for announcing a replacement, but filming on Top Gear new series is expected to begin in a few weeks.